Dillon’s (left) day job is with apparel brand Velocio. 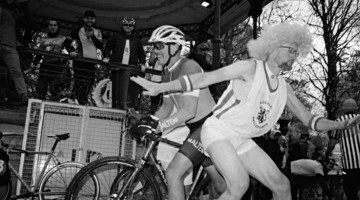 All employees and ambassadors wore a white jersey, to show the dirt better. 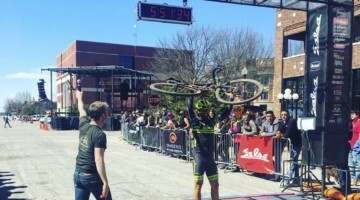 Velocio athletes Ted King and Josh Berry also went 1-2 at the Dirty Kanza 200. 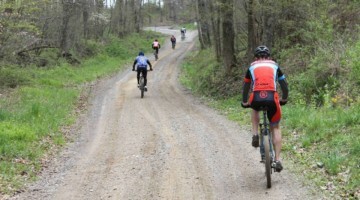 While cyclocross might not be Dillon’s cup of tea, gravel racing clearly is. 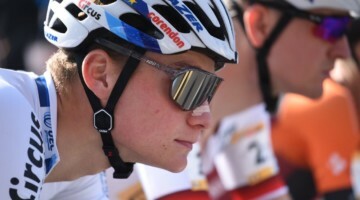 She came to the 2018 event hoping to continue improving, after finishing third in her 2016 Lost and Found debut and climbing up one podium step in 2017. 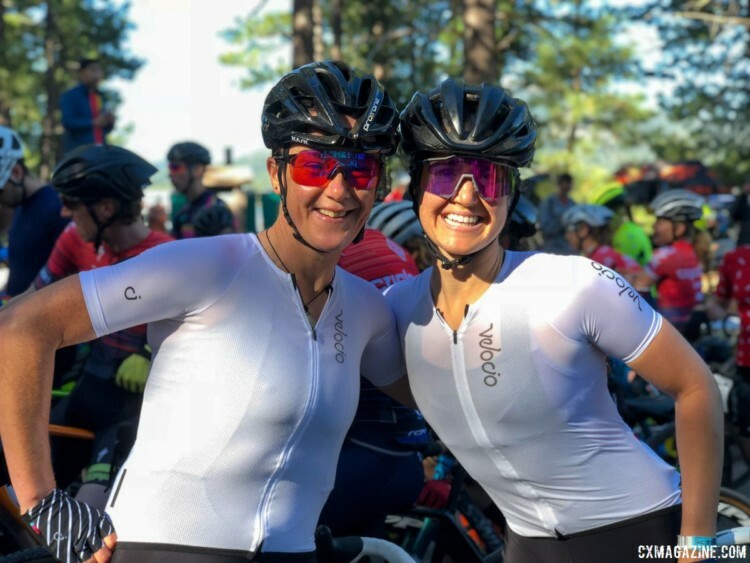 She accomplished her mission by beating out defending champ Katerina Nash to win the Pro Women’s category at the fifth annual Lost and Found 100-mile gravel race. 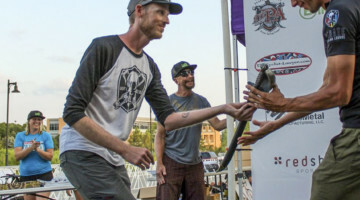 Dillon and Nash battled each other, the tough terrain and stubborn tubeless flats, and in the end, Dillon won by more than seven minutes, but it didn’t come without some flat-tire stress. “We had 15 miles to go,” she said. 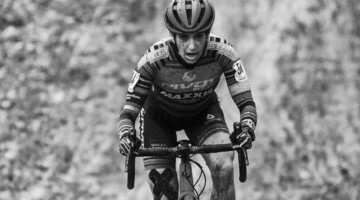 “It was on the gravel section, so I just pulled to the side and did CO2, and on the headwind road section it was down again.” With help from a Cyclesport rider, Dillon plugged a gash in her sidewall and limped along, eventually finishing after another round of CO2. “I just wanted to get to the finish,” she admitted. The plugged tire and a Specialized S-Works Diverge carried Dillon to the finish. The redesigned Diverge features new geometry and adds the Future Shock suspension system from the endurance Roubaix road model. Unlike the system on the Roubaix, the Diverge Future Shock features a progressive main spring to prevent harsh bottoming out on rough terrain. 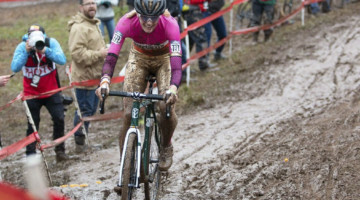 “My Diverge is freaking amazing,” Dillon said about her bike after the race. 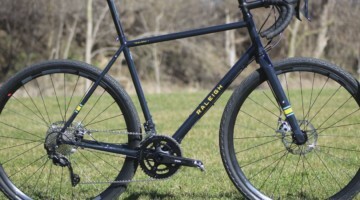 Read on for a profile of Dillon’s “freaking amazing” Lost-and-Found-winning S-Works Diverge gravel bike. Olivia Dillon’s 2018 Lost-and-Found-winning Specialized S-Works Diverge gravel bike. Dillon stuck with the stock Diverge configuration for much of her setup. 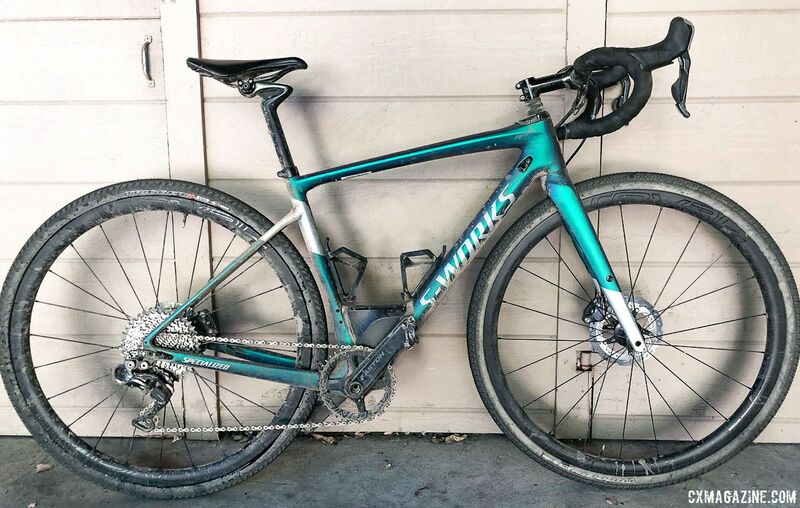 Her bike had a Shimano Di2 drivetrain with hydraulic disc brakes, Roval carbon wheels, Specialized’s SWAT storage system and a carbon handlebar. The Diverge is SWAT compatible. 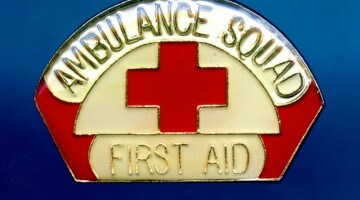 The road version of the SWAT Box attaches to the main triangle with a third bottle bolt and offers storage for CO2, a multi-tool and a spare tube. Olivia Dillon’s 2018 Lost and Found S-Works Diverge. Dillon’s transmission was the stock Di2 setup, which featured a Shimano XTR M9050 rear derailleur and an Easton EC90 SL single ring crankset. 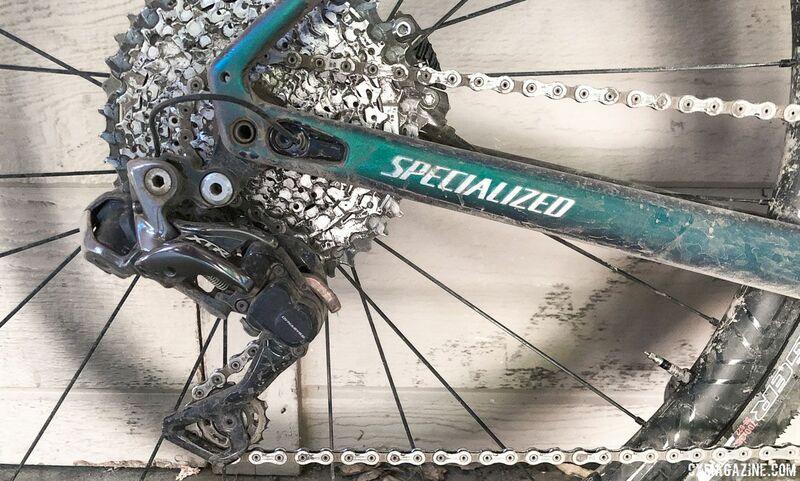 Until recently a Di2 mountain derailleur was the only official way to run a clutch 1x system with Shimano, but now there are XT and RX rear derailleur options. An XTR M9050 rear derailleur used to be the only Shimano clutch derailleur that was natively compatible with road drivetrains, but now there are XT and RX options. 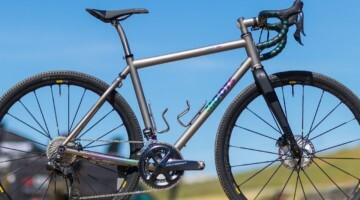 Olivia Dillon’s 2018 Lost and Found S-Works Diverge. 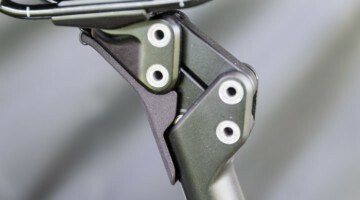 Dillon’s shift/brake levers were Shimano RS-785, which some cyclocross racers favor over the newer R8070 and R9170 units due to their more substantial hood design. Dillon modulated her speed while bombing down the Lost Sierra mountains with the Shimano RS805 hydraulic calipers and Shimano XT RT-99 160mm CenterLock rotors. 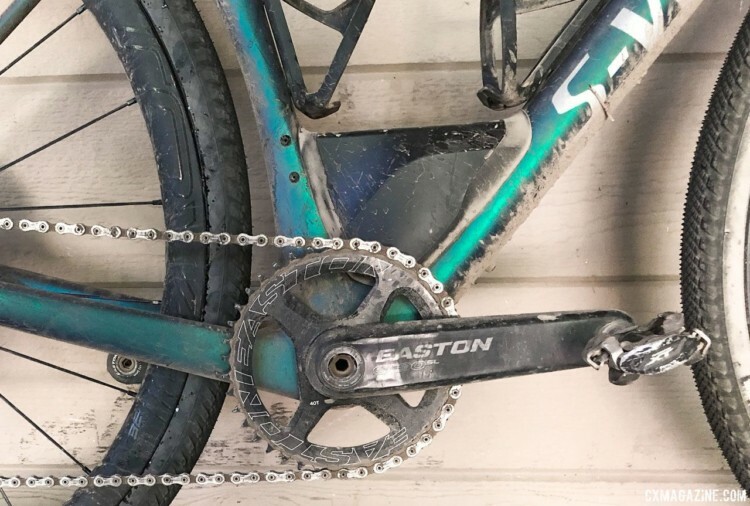 The Diverge comes standard with a 42t Easton direct mount Cinch chain ring and 11-40t XTR cassette, but Dillon reversed this setup, using a 40t chainring and 11-42t cassette for the long climbs at Lost and Found. 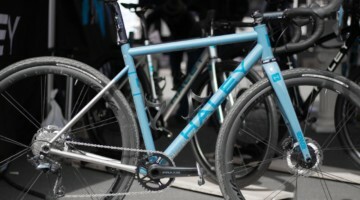 Interestingly, the big S chose to diverge (no pun intended) from its longtime use of narrow format press fit bottom brackets in favor of a BB386 EVO shell. With the rest of its road catalog still using predominantly BB30 or BSA systems, one can only assume that the company picked the wider stance to increase tire clearance, which is claimed at a max of 700c x 42mm. 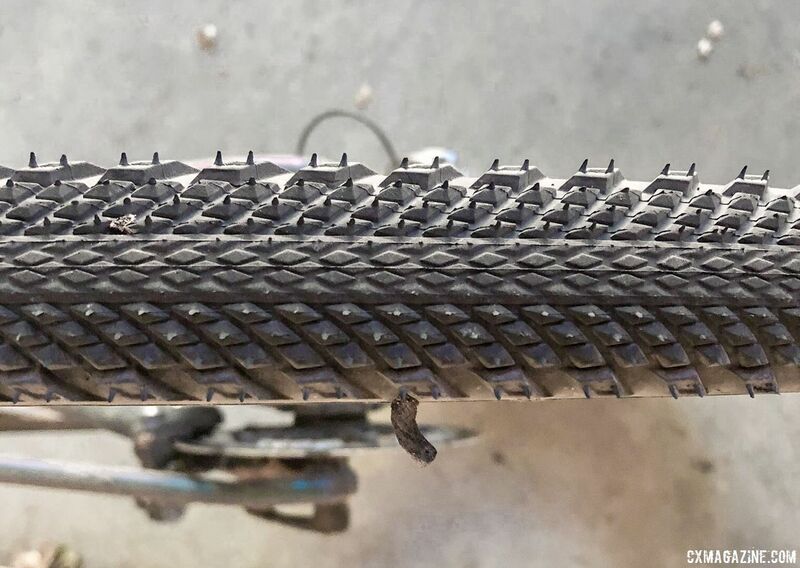 It’s not the first time we’ve seen designers pick 86mm shells to maximize tire and mud clearance. The only other major change from the stock setup was Dillon’s seatpost. 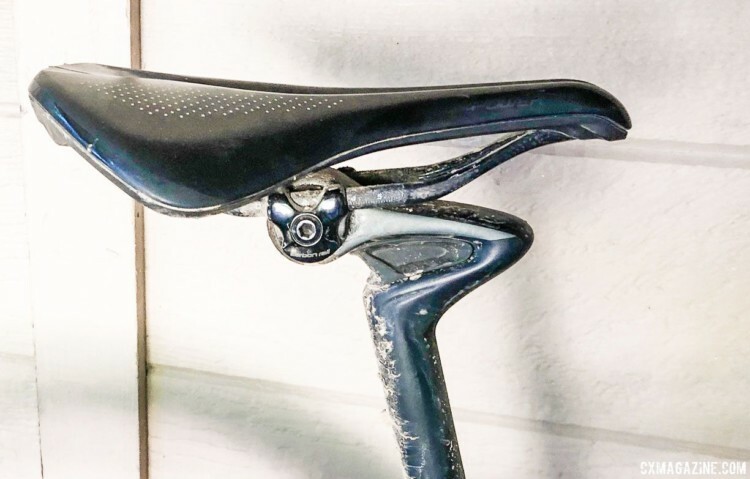 She subbed the standard dropper post for Specialized’s CG-R leaf spring option and mounted a Specialized Power saddle with carbon rails in place of the stock S-Works Phenom. 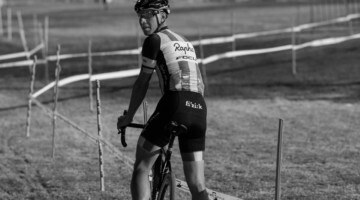 Dillon subbed the stock Command Post dropper for a CG-R leaf spring seatpost in an effort to increase seated comfort. Olivia Dillon’s 2018 Lost and Found S-Works Diverge. Rounding out her cockpit were an S-Works alloy stem and S-Works carbon Hover Bar, which offers 15mm of rise. 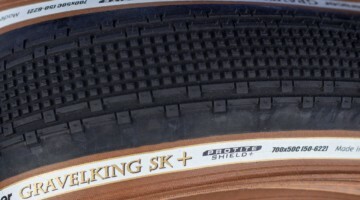 Despite her flat tire, Dillon said her Specialized Trigger Pro 2Bliss tires at 30 psi were perfect. 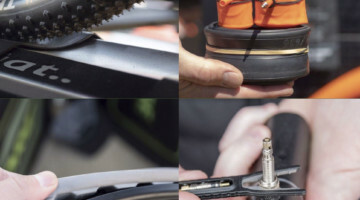 She set the tires up tubeless on Roval CLX 32 wheels which feature DT240 internals, Ceramic speed bearings, and a Win-Tunnel-designed 32mm-deep tubeless ready rim. Dillon said the Trigger Pro 2Bliss tires were perfect, despite her flat tire via a cut sidewall. Olivia Dillon’s 2018 Lost and Found S-Works Diverge. With a Lost and Found victory in her Velocio pocket, Dillon is not resting on her laurels. She is targeting the Epic Rides Off-Road Carson City mountain bike race and then the Grinduro and (tentatively) Crusher in the Tushar gravel races as she continues her second career as a gravel grinder. See the specs and photo gallery for more on Dillon’s bike. 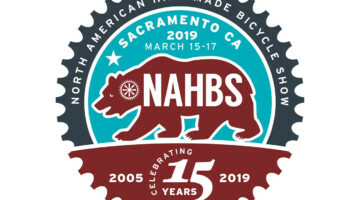 For more Cali gravel coverage, see our 2018 Lost and Found archives.